You may have been following the film’s Scientist on Facebook (facebook.com/9scientist). the day that "9" is released in theaters). (trust me you have to experience it - this is the first website to ever do this). then be shared via email, blogs or social networks. on your social networking profile)." A few weeks back, the Scientist was forcibly removed from his laboratory and interrogated. Upon returning to his lab, the Scientist realized that the Chancellor's men had seized a collection of designs vital to his research. One of these designs holds the key to his next phase of development. The designs have been shredded... torn into 9 pieces, scattered in 9 secret locations. We must find all 9 pieces and put them back together to reveal a secret alchemical code. Only the typewriter on www.9experiment.com can help decode the hidden message from the designs. Those who find all 9 hidden pieces and use the typewriter to decipher the code will be treated to another fantastic piece of 9” movie art, and can enter for a chance to win a pair of the Limited Edition 9” Shoes from Pony, as well as other great 9” movie prizes. preferred reader so your phone is QR-ready. Shane Acker, and Elijah Wood. Check out NECA (booth #4345) for the latest 9 news. 2:30PM- 9 Panel in Hall H with filmmakers Shane Acker, Tim Burton, Timur Bekmambetov and stars Elijah Wood and Jennifer Connelly. Also, check out the new Radio on 9Experiment.com, and stay tuned for upcoming fan challenges in the coming days! 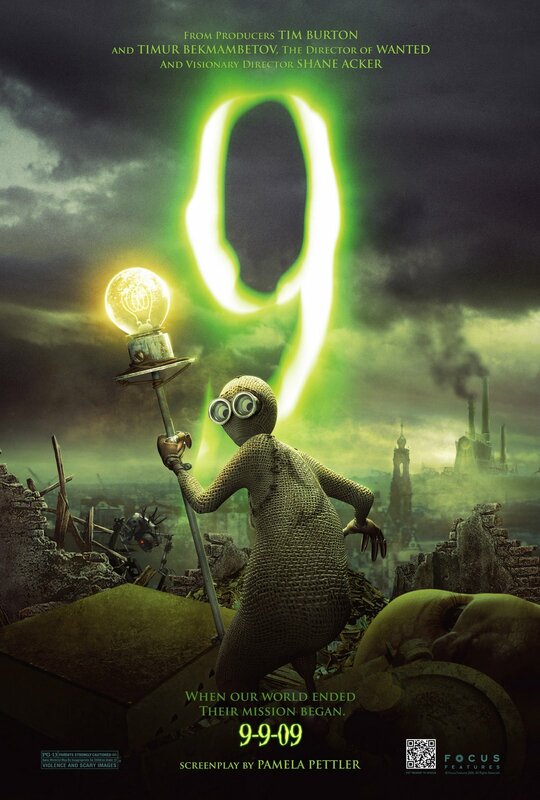 Some of you might have heard that Tim Burton and Shane Acker have been working on a special movie project called, 9. 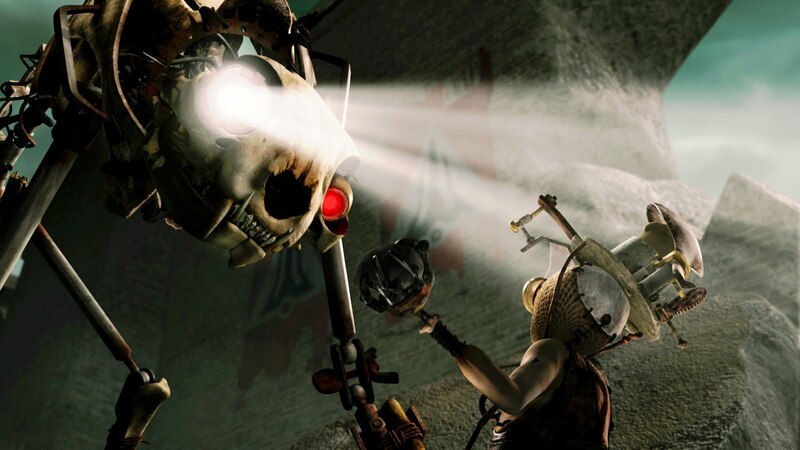 Set to release on, you guessed it, 9/9/09, the story of 9 revolves around a post-apocalyptic world where machines have long taken over the world. A scientist then brings to life his creation that resemble the characters from Little Big Planet. I'm a big fan of Tim Burton and I know many of us anime fans are mainly well into the Nightmare Before Christmas (or almost any of Tim Burton's film's) . It has his signature dark, gloomy type of world but looks to have plenty of action in it as well. As I get more info on the story and some other tidbits, I'll either post them here or make a new post for you all to see, so be sure to subscribe to my blog's rss feed for the latest info. Actors like Elijah wood, John C. Reilly, Jennifer Connely and others are bringing their voice talent to the film. Check the offical site here for the current trailer as well as the 9 Scientist facebook page. Also, the image header for this post is the pre-released poster for the movie so only here and a few selected sites got the rights to show it to you guys ^-^ Gotta love being an anime, otaku blogger. Anyways, enjoy the trailer and I'll be in the theaters myself to see it; can never miss a Tim Burton movie. 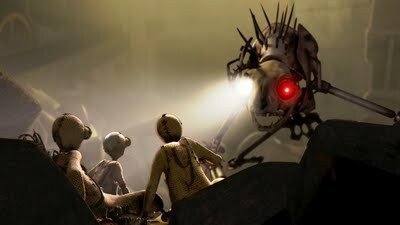 Check out some pictures of the StitchPunk beings below as well as some more info on the movie. Can't get enough of 9? - Be sure to download the reader by texting 'READER' to 4FOCUS (436287) so you can decipher the secret messages on the street and gain access to exclusive content! destroy them in the first place. As they'll soon come to learn, the very future of civilization may depend on them. 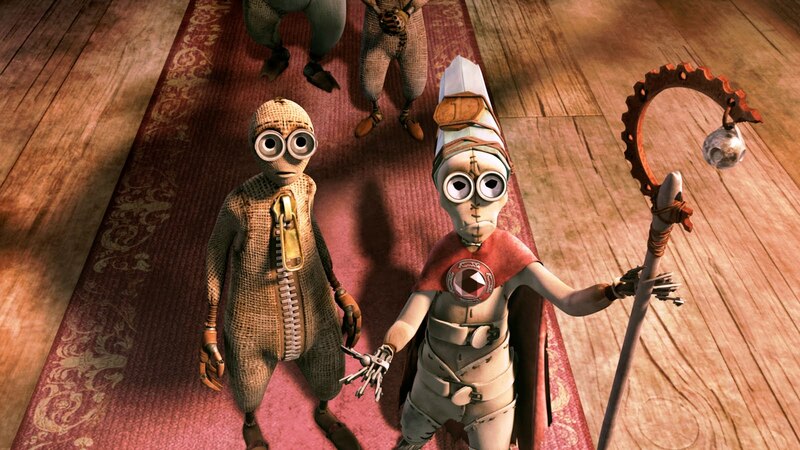 -Voiced by one of the world's most respected actors, Christopher Plummer, 1 is the Scientist's first creation. As the elder, he is the self-declared leader of the group. He is clever and sly, but also domineering, quick-tempered, and threatened by the new arrival of 9, whose higher intellect leads him to question authority. -Voiced by Academy Award Winner Martin Landau, 2 is a kindly but now frail inventor and explorer who embodies the Scientist's strong creative spirit. An inquisitive personality, 2 is fearless. Director Shane Acker affectionately describes him as a 'salty old dog'. -Communicating visually, not verbally, 3 and 4 are the scholarly twins who voraciously catalogue everything they can see and find, recording and building a massive database for the group of the world that surrounds them and the history that led up to their creation. -Voiced by Academy Award nominee John C. Reilly, 5 is a caring, nurturing engineer -- the loyal, big-hearted 'common man' who always tries to play the peacemaker. He is also an apprentice of 2, with whom he shares a special bond. -6, the group's visionary is voiced by Crispin Glover. Although reclusive and eccentric, his bursts of artistic inspiration through drawings made from his pen nib hands may be keys to help his fellow stitchpunk beings navigate their darkest hours. 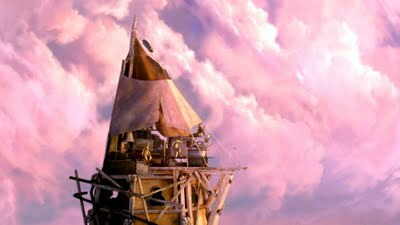 -A brave and self-sufficient warrior, 7, voiced by Oscar winner Jennifer Connelly, is the group's sole female. A fiercely independent adventuress she has been out patrolling the wasteland. To survive, she has adapted, finding the bones of a deceased bird and crafting her signature skull helmet. -Armed with a giant kitchen cleaver and half a scissor blade, the none-too-bright muscle and enforcer of the group, 8, is created to help the others physically survive the dangerous post-apocalyptic world. -To voice the lead role of the newly born -- and aborning hero -- 9, Acker couldn't help but have in mind an actor who was so central to the film set he had worked on years earlier in New Zealand -- The Lord of the Rings: The Return of the King star Elijah Wood.